The dual hosts clusters nodes instances are located on two physical or logical hosts. First host holds router and manager nodes and data nodes. Second host – only data nodes. That is minimal multi-host configuration. The n-type cluster configured the same way as single node – two replica node instances, but located on different hosts – one on first and one on second host. The m-type cluster configured the same way as n-type – two shard node instances one on first and one on second host. "Multi-host configuration for first host of dual hosts"
"Multi-host configuration for second host of dual hosts"
need to be uncommented for the n-, m- and r-type of clusters. instead of the 10.0.0.1 the first host IP address need to be specified. the 127.0.0.1 need to be replaced with the first host server IP address, because the DTM service located on that host. After all that modifications was done cluster nodes can be started on both hosts in any order (first or second host). because no router or manager nodes here. Fixed several bugs in the DRCE module functionality. Improved DRCE statistics for tasks. Complete updated the “Bundle” products including “Distributed Tasks Manager” and “Distributed Crawler” application services. Improved scraper module with xpath rules sets support. Extended tests of crawling Japan sites. Added Crawler API results merging from N nodes. Added Crawler incremental sites crawling. Added Crawler additional support of structure formats. Added Processor improvements of basic and predefined templates for scraping. Added run-time change of logging level and polling timeouts. Complete updated integration and deployment for Debian OS. Complete updated main networking and crawling engine. The Distributed Crawler Application (DC) application is common purpose service class software. The main functional goal is to provide possibilities for users to fetch data from data sources and to create huge collections of resources. Basic features include the web-crawling algorithms implementation with standard (web http-based) or custom resource fetcher. DC has developed as a scalable & distributed Web Crawling Service for automated data crawling, data extraction to provide the possibility for information integration from various websites. This web crawling and data scraping technology can be used to weed out the relevant information as well as build business intelligence. Whatever any kind customized solutions can be done with flexible configuration and parameters tuning. The web crawling engine is also capable of culling relevant information that is several links away from the start set, while effectively eliminating many irrelevant pages and scan web-sites structure efficient way. The frequency of queries to web-sites can also be defined by the client as hourly, daily, weekly, monthly or another more complex way as well as re-crawling schedule. The DC web data crawling and tags extraction service can to help to convert useless data into structured and useful content. The entire process of crawling, scraping, data collection and sorting are automated. The clean and structured data received from the DC service can be immediately used for decision making solutions and algorithms of target projects. The service based on Distributed Tasks Manager (DTM) and implements applied crawling algorithms and architecture as distributed tasks doing batch processing in isolated OS processes. Additionally provided interface for extended post-crawling content processing like scrapping, NLP, statistical analysis and so on. durability and fail-safe principles including replication with redundancy of of local host’s DB schemas and data. Standalone boxed application that works as a client-side top user level of DTM application server. Distributed asynchronous parallel web sites crawling. Distributed synchronous real-time web pages crawling and scraping. Distributed raw web resources data storage management. Distributed URLs database storage management. Distributed asynchronous parallel post-crawling processing including the tags scraping. Single process, multi-threaded, Python language application implementation, integrated with DTM application server by HCE Python API bindings. Threaded control objects, MOM-based networking, ZMQ tcp and inproc sockets, messages communications, messages queues, json serialization protocol. Process client requests, managed automated web-sites crawling, post-crawling processing, real-time crawling+processing (see detailed protocol specification for the real-time gateway API) and resource management. Asynchronous multi-host multi-threaded mutexless messages handling, parallel computations, asynchronous distributed remote tasks processing, automated managed batch processing, distributed resources management. 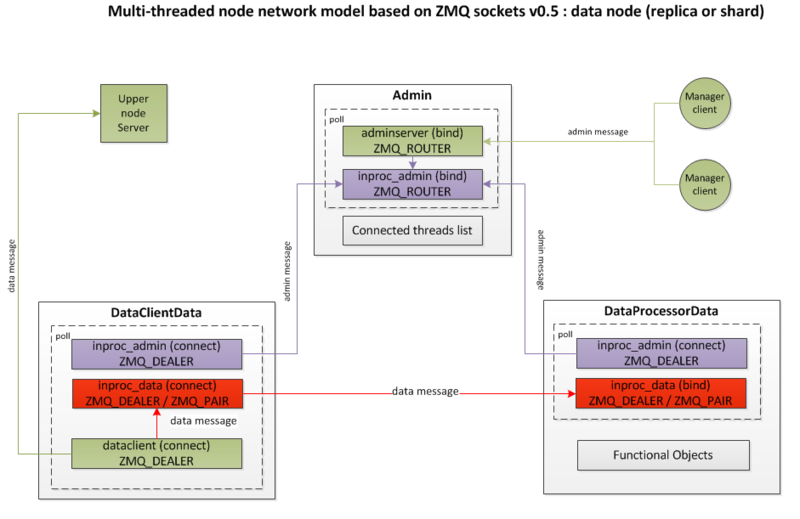 Process interactions uses ZMQ TCP sockets connections server and client type. 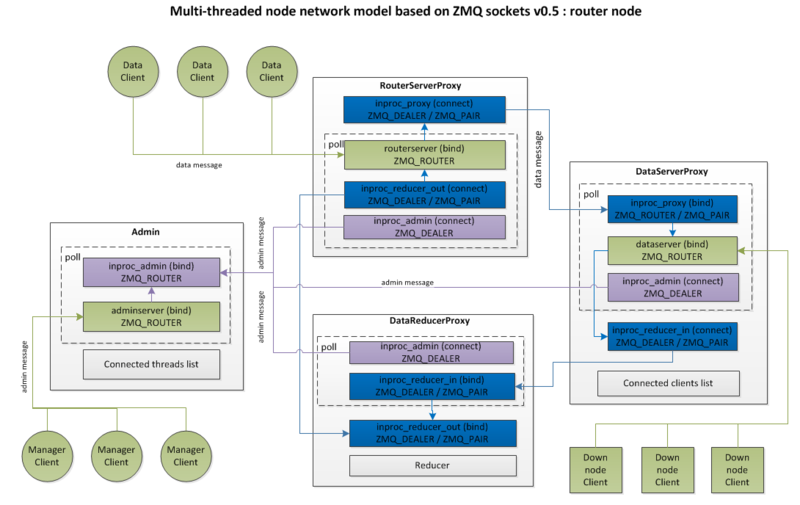 In process interactions uses ZMQ inproc sockets connections servers and clients. Asynchronous inproc resources access as well as requests processing provided by MOM-based transport provided by ZMQ sockets technology. No system or POSIX access controlling objects like mutexes or semaphores used. The only one kind of processing item is message. The several messages containers types like queues, dictionaries, lists and so on can be used to accumulate and organize processing sequences. The key-value DB engine is SQLite. Administration – handles requests from tool client applications. Requests of that type fetches statistical information from all threading objects as well as can be used to tune some configurations settings of DC service directly at run-time period. Client – handles requests from client side API or tool application. Requests of that type are main functional queries for any applied operation and statistical data collection including the Site and URL management CRUD as well as real-time crawling. More detailed description see in documentation for the client application. All requests are represented by json format of message. The structure of requests and main tasks logic principles are separated from concrete execution environment. This gives potential possibility to use some several execution environments engines, but not only HCE DRCE cluster. More detailed description of usage of service and client modules see in main documentation. The structural unit that represents crawling item from user side. Has properties applied for each URL fetched from page of this site. The structural unit that represents results of HTTP request downloaded from site by URL. Mainly it is http resource like html page, image or any kind of MIME type content. The structural unit that represents the resource URL for the site. Used as base of main resource identifier for md5 checksum calculation. The object that used to do HTTP querying and resources downloading algorithms and operations on data nodes. The object that used to represent and to parse downloaded resources on data nodes. This class accepts the client requests events from TCP connection and sends them to the proper target threading class. This class works mostly as a proxy between the target functional threaded class and clients. 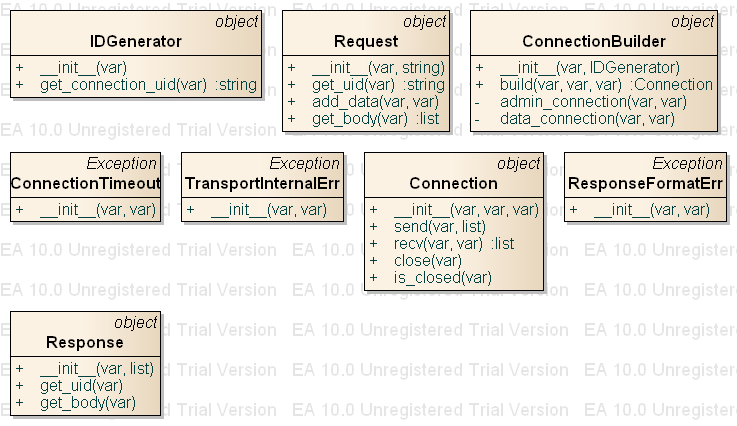 It connects to three target threaded classes as shown on application architecture schema. It is a main class that implements algorithms of continues crawling (optionally and processing) iteration, interacts with DTM service, sets crawling tasks to execute and checks state of that tasks periodically. To start the crawling task it collects some URLs from SitesManager and creates the crawling task Batch. The crawling task batch send as main data set and input data of the main crawling application that works on target data node in the HCE DRCE Cluster as asynchronous tasks. It is a main class that implements processing iteration, interacts with DTM service, sets processing tasks to execute and checks state of that tasks periodically. To start the crawling task it uses simple scheduling. The process task batch send as URLFetch DB-task request, collects resources ready to be processed, converts list of them to the Batch object and starts processor-task that includes the scraper-task and scraping applied algorithms. All tasks applications works on target data node in the HCE DRCE Cluster as asynchronous tasks. The main client interface for Site and URL objects operations, also performs periodical Re-crawling and Aging actions using the DRCE shard cluster directly in multicast mode. The application that acts as web-crawler, uses crawling batch as a main job order, executes HTTP requests and stores resources in the local file system cache, updates state of resources in the local SQL DB. Located and acts on data node. This application represents container and manager for applied processing modules like the scraper application. Located and acts on data node. This is main an after crawling data processor business logic and applied algorithms API. This application represents sets of scraping algorithms that can be used to process locally stored data. The results of processing Process located and acts on data node. 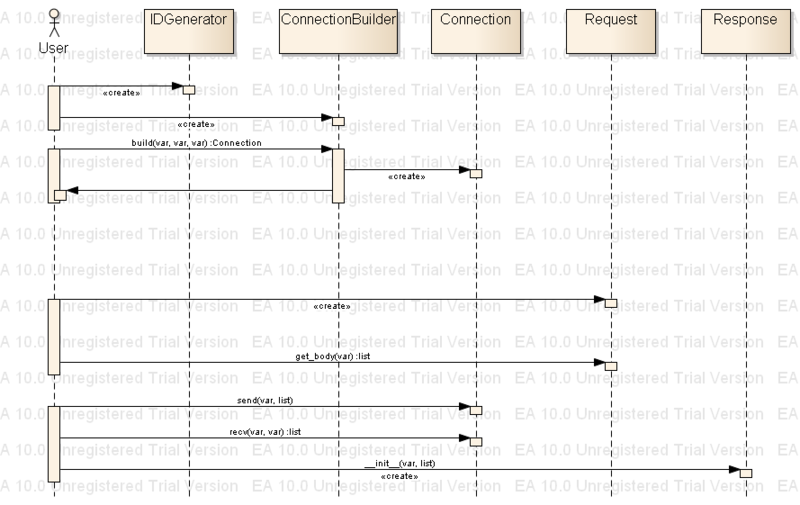 The application that acts as a main interface with DTM application to distributed DB units. The DB units manage the local databases of all objects and items defined on local data node level. Also, this application fetches locally stored resources. Located and acts on data node. 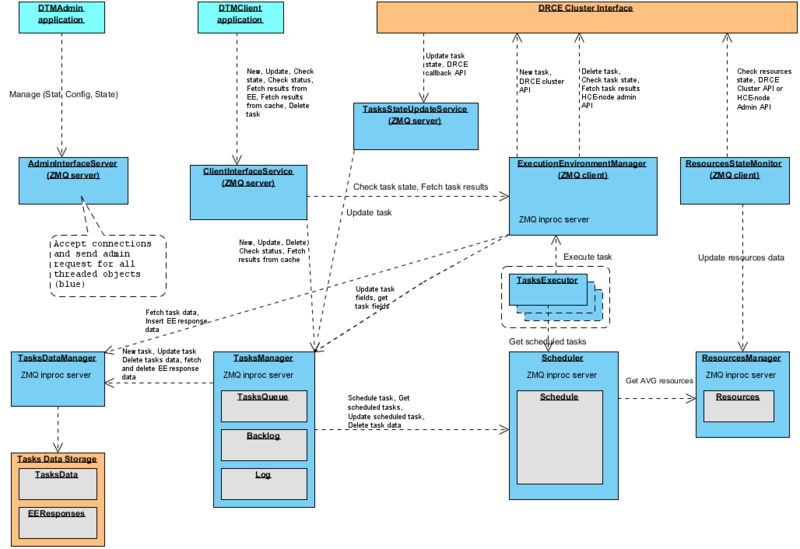 Detailed information about the DB schema can be obtained from DB main documentation. 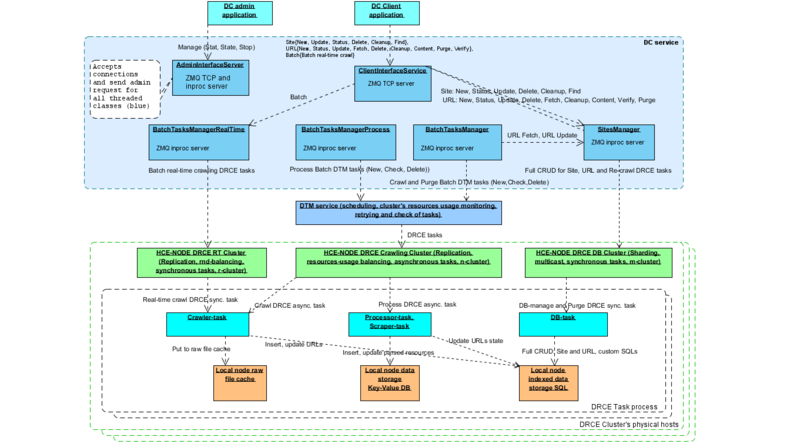 The Distributed Tasks Manager Application (DTM) application is common purpose service class software. The main functional goal is to provide possibilities for users to manage remote tasks execution and computational resources in the HCE DRCE cluster execution environment. Standalone boxed application that works as a client-side top user level of HCE’s DRCE cluster server. Scheduling tasks to be executed at particular time and/or execution environment load optimization. Distributed asynchronous parallel tasks execution and data processing. Handling long and heavy job tasks like file format conversions (video, images, documents, etc). Support any kind of executable that accepted by hosts platform. Distributed data close to code solutions. Single process, multithreaded, Python language application implementation, integrated with HCE DRCE cluster server by HCE Python API bindings. 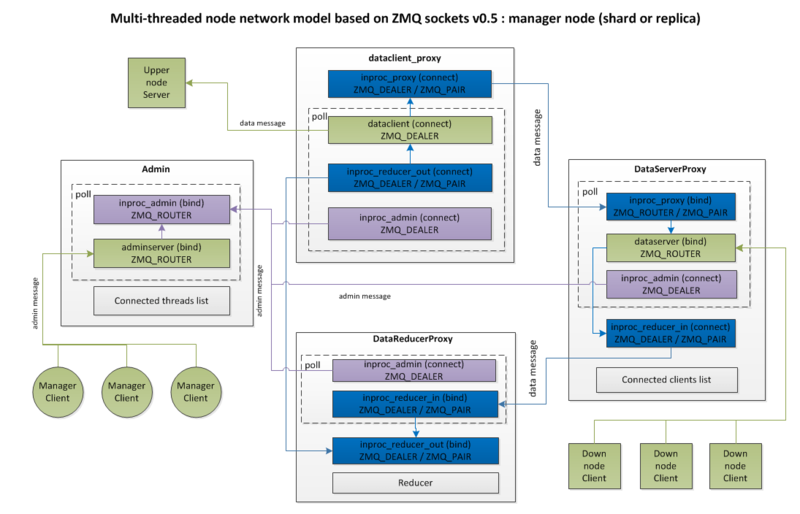 Application has multi-threaded architecture with asynchronous MOM-based inproc transport based on ZMQ functionality. It is a server software class Linux daemon technology. It listens three ports to interact with user client application interface, admin user interface for management and Execution Environment (DRCE Cluster) – for callback tasks state notification handler. The internal containers for various regular data storage based on sqlite backend. Threaded control objects, MOM-based networking, ZMQ tcp and inproc sockets, messages communications, messages queues. Process client requests, tasks planning and scheduling, tasks management in DRCE cluster. Asynchronous multithreaded mutexless messages handling, parallel computations, asynchronous distributed remote tasks processing. Task it is a regular executable artifact that can be supported by data nodes of a cluster. Task is an atomic execution unit that can be managed and controlled. Task identified by the DRCE API specification as request with specification of command to execute, data that can be provided with task request for processing (or got via any another task-specific API) as well as the way to retrieve processing results. Tasks can be selected and managed by criterions like: group Id, user Id, creation date, scheduled date, terminated date, termination status, estimated execution time, real execution time, and fetch results counter. Tasks can be synchronous and asynchronous. Synchronous – executed by execution environment in sequential one-by-one mode. This mode supposes that task completed in one step after request and results returned immediately. No resource planning and scheduling is involved and data flow inside cluster competes with task’s computations for hardware resources like CPU, RAM and disk I/O. These tasks are typically short, a request encapsulates command (possible with program code or binary executable) and small size input data. Responses are contains processing results that possible can be reduced inside execution environment. The request can be timed out. In case of timeout is too small, results can be lost. Most effective cluster resources utilization can be reached with usage small request messages size and multi-client requester model. Possible direct reflection of external, for example web requests, to task execution requests to get scalable architecture for high loaded web-sites. Asynchronous – executed by execution environment in scheduled lazy mode. This mode supposes that computational environment using execution environment resources load level controlling and resources usage planning strategies as well as tasks scheduling. Task that was set by user is not started inside execution environment right after it was created. The computational environment tasks manager checks the time that was requested by user as best for user’s application business logic (possible nearest in time or ASAP, or in range of dates interval). To make the algorithm of prediction of task timing more effective, user can to specify estimated execution time of task and POSIX threads number that task potentially can to utilize. If schedule has a place (at least – the number of timeslots that equal or greater than estimated execution time) for a task it will be set and take a free place in size of predicted resources (execution time, number of POSIX threads, amount of RAM, amount of disk space and so on). If no place for the tasks, the tasks manager can to return the error and finish user request on task creation or to try to choose another time slot(s) according with strategy that was defined by create task request parameters for this kind of situation (for example ASAP for time, best for free resources (CPU, for example) and so on). After task was scheduled the task manager using clocking, time slots and information about the current execution environment state (execution environment average load level and another resources property values) starts tasks that are set for a correspondent time slots. Tasks scheduler can to change position of the task or to skip and cancel it if some wrong state of execution environment detected on the moment of the time slot reaches now state. So, depends on strategy, scheduler can act as real-time or continues postponed. Another key part of system that takes a place in a tasks execution process – it is a resource manager. Execution environment based on DRCE API configured to use hardware resources like CPU, RAM, DISK and so on. These resources located on each data host of the HCE cluster and monitored periodically to compute average usage level per each resource type. The current average values of resources state indicators are actual parameters that used by scheduler during planning and processing of time slots of schedule. In asynchronous mode tasks can be single unit or united in to the tasks chains. Chains are planned and represented in the schedule as one single task. Scheduler executes chains the same way as regular separated tasks, but with execution environment limitations. For example, all chains are executed on the same HCE node (and on the same physical host, as well). The stdout from previous task became stdin for next. Behavior of the node executor depends on strategy defined for each chain unit. For example, if some chain fault executor can to abort whole task or to continue execution of next chain. The results stored the same way for each chain separately, but can to be fetched in one get results request. Both synchronous and asynchronous modes tasks can be set in schedule as independent and dependent. Independent supposes that task is executed according with the strategy at the specific time and execution environment load level. Dependent acts as a sequential after another task started, worked defined time, terminated or finished. So, schedules can be created not only using the time marks and execution environment load level conditions, but tasks sequence condition. This is object that receives tasks as atomic units from user client, store task’s data in the tasks data storage, set task to the tasks scheduler object and receives information about the task state from tasks state update service, execution environment service, and tasks executor. Tasks manager implements main algorithms that used to handle and manage of tasks state, set tasks to scheduler, cancel tasks, reschedule tasks, manage tasks sequences and so on. Resource – it is a hardware or software unit of possibility or feature. Typical hardware resources are CPU cores number, CPU load, RAM size, DISK size, I/O wait level, Network bandwidth level, Network connections number and so on. The software resources can be represented as libraries calls, libraries instances number, modules loaded, services requests number, processes number, objects instances number and so on. For HCE cluster running in load balancing mode DRCE manager uses resources of all nodes in competitor mode. This mode supposes average spreading of resources on all tasks’ processes proportional way. But practically, the possibility to spread resources depends on OS state, hardware architecture and tasks specific conditions like artifact execution mode and artifact type. It is an object that holds resources list and manage resources properties information, process messages from resource state monitor object and from the scheduler. 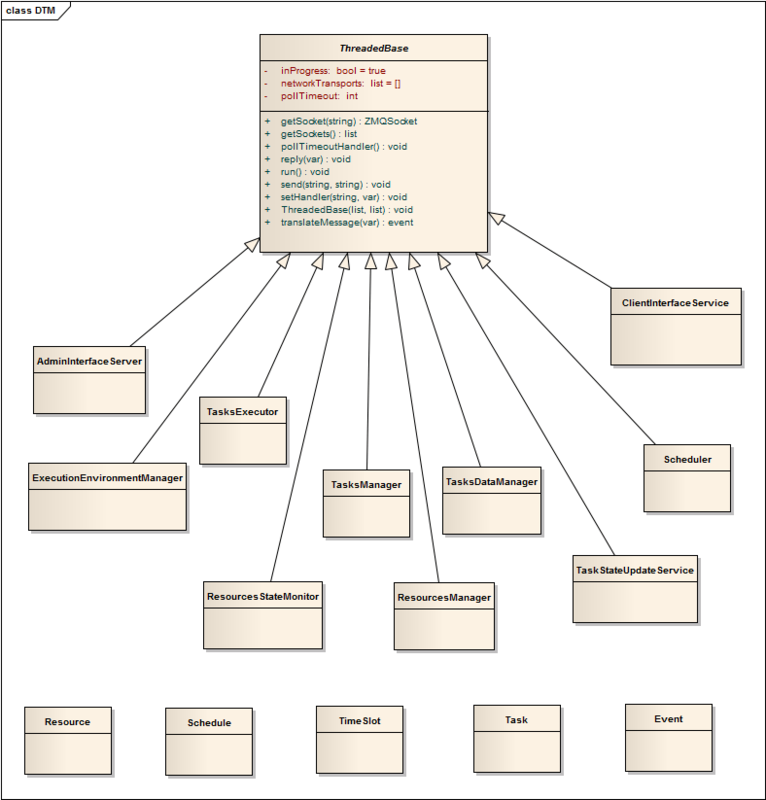 Resource manager implements algorithms of resources operation and state controlling. Artifact or task’s artifact – it is unit that is used to do some algorithmic job on a target host system and takes resources. 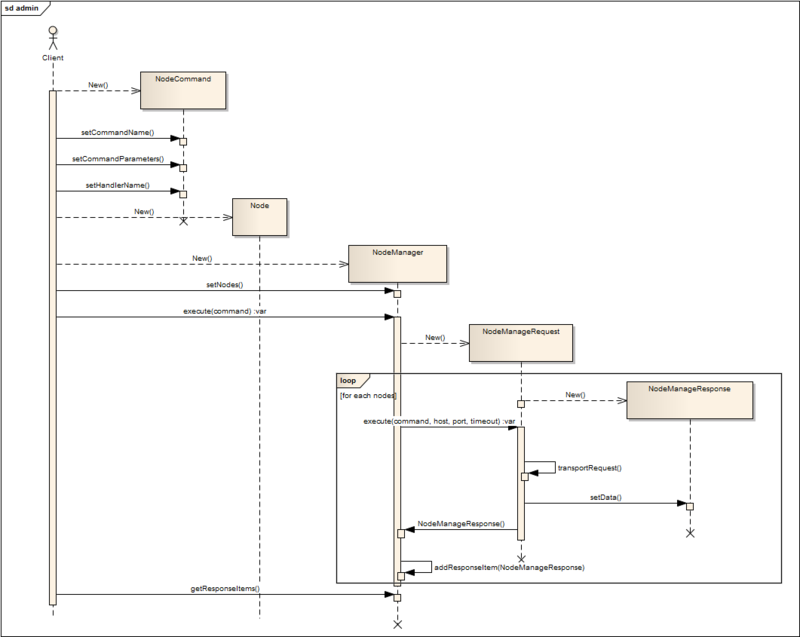 Artifact spawned by tasks executor of HCE node that is a part of DRCE subsystem. Artifacts can be classified on types. One of classification based on execution way. It can be machine binary code in form of compiled native CPU instructions for concrete hardware platform, or p-code of some virtual machine like JVM, or human readable source code for just-in-time or interpreter real-time execution including the shell script scenarios. Regardless of type, artifact used as cli command and Unix-like cli interface with arguments, stdin, stdout and stderr file streams. Universal input-output protocol specification for DRCE task is only one limitation for artifact to get the link with algorithm encapsulated inside, data to process and processing results. It is a set of tasks that is united by planning scheduler process, execution environment location and results fetching way. The main differences of tasks that set in chain from single tasks it is that tasks united in chain will be executed sequentially on the same physical host by one hce-node DRCE functional object handler. Tasks that are united in chain have none zero parent Id and set to the DRCE cluster in one request. The execution environment is represented by the regular HCE cluster with usage of main DRCE functionality. The manager nodes are in balancing replica mode. Main goal of usage this mode it is a parallel competition of data node hosts and handlers of nodes at one host in case of multi-core CPUs. The task need to be fully compatible with execution environment unit configuration, for example, correspondent architecture and executable need to be supported by OS for binary execution and run-time environment like JVM/JRE for Java or PHP, Python, Ruby and so on need to be installed and configured with libraries to be capable to execute tasks code. It is a HCE DRCE cluster router that represents the cluster’s entry point. The DTM application instance can connect and work with many clusters as well as one cluster can be used by many instances of DTM. Depends on scalability or durability principles the proportion can be one to one, and one to many in recombination. The execution environment service plays the server role and DTM application – the client role. The service represents black-box functional unit with complete automated algorithms and dedicated management tools that is a part of HCE. It is an object that interacts with the execution environment service, makes a DRCE requests and process responses, process requests from the client interface service and tasks executor as well as query the task manager to update a tasks state. It works as a broker between tasks executor and execution environment service to make interaction asynchronous. This is a set of algorithms that used to assign tasks to the time slots. Those algorithms define principles and conditions for optimizations for execution environment state as well as for tasks execution sequence and so on. Depends on target user’s aims the behavior of load-balancing of resources and effectiveness of tasks execution can be changed and tuned up. It is a process of assigning the tasks to time slots in the schedule. This process acts as planning strategy and can go on demand when new task is got from user client or periodically. It is an object that holds the schedule and process assignment of tasks for time slots as well as other basic operations with time slots like movements of past time slots from planned to log, change state and so on. Scheduler processes requests messages from the task manager and tasks executor and query the resource manager to update resources load level and amount value. It is an HCE DRCE cluster node that is instantiates the DRCE Functional Object. 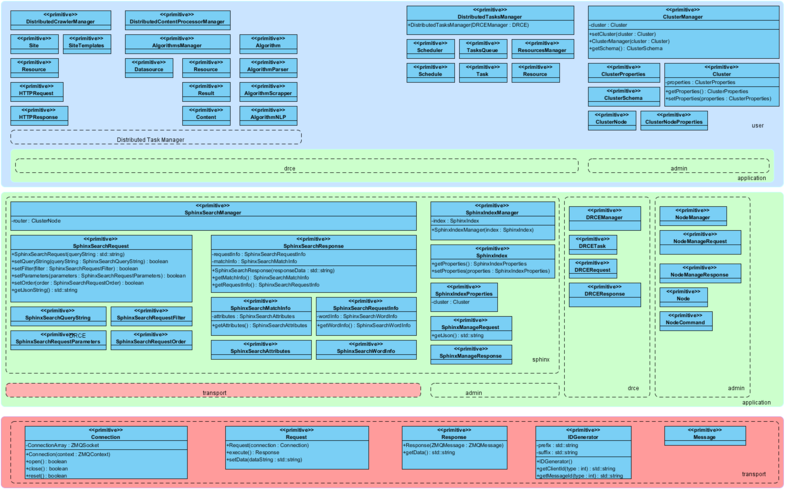 This is down level of cluster hierarchy and hold executor of tasks as well as resources and tasks state notify client. This is a regular thread object in terms of target physical host OS platform. It is a low level execution unit for a machine code that is used by OS scheduler to manage CPU and RAM resources. Each CPU kernel executes some code that is represented by one POSIX thread at time. One OS process can to create more than one POSIX thread and try to get more than one CPU kernel to execute parts of own code simultaneously. The number of POSIX threads that process instance (task command from DRCE tasks point of view) can to create is important for tasks planning and scheduling process because reflects the predictable load level and physical resources usage for the process and the task during execution. This is a data storage that used to store the data that was specified with the task and need to be sending to the execution environment. It can be a single-host location regular file system, SQL and NOSQL database, and so on. Depends on tasks specific properties like size of the data, data location it can be single-host and distributed with some scalability principles. It is an object that holds ZMQ protocol based server. It accepts requests for update of tasks state directly from execution environment data nodes and queries the task manager with update information about tasks state. It works as a broker between task manager and execution environment to make the update tasks state process asynchronous. It is an object that implements main tasks execution cycle timing interacts with the scheduler to fetch tasks for time slots and send them to the execution environment manager as well us queries the tasks manager to update tasks state. It works as a main clock processor. It is an object that does monitoring of execution environment resources state and updates resources properties by query the resource manager. It works as an execution environment resources watchdog. Potentially, can be extended with functionality of the execution environment resources manager. It is an object that accepts client’s requests on task and interacts with execution environment manager and tasks manager. Depends on requested operation for task it can be directly forwarded to the execution environment or to the task manager. It works as a broker to make clients requests processing asynchronous. HCE core functionality represents server side technology that is accessible via specific network protocol that is specified and defined by ZMQ library that used as main transport under TCP networking. The ZMQ library provides binding for about 30 languages, so all this languages community can be covered by HCE Client API. Transport – implements main networking operations for router and admin network connections of node, message interchange, supports MOM as basic transport principles. This is low level API. Under alpha testing. Application – implements various functionality and algorithms that covers main integrated and natural way supported subsystems like Sphinx Search, Sphinx Index Management, Distributed Remote Command Execution tasks management and nodes management. This is middle level API. Under development stage. User – implements functionality, algorithms, service and cli and-user applications that can be used as top level interfaces and objects inside the target projects and as finished applications for management and administration. This is upper level API and utilities tools. Under design stage. Each one can be used as separated dedicated API library and implemented as self sufficient modules for distribution and integration. Distributed Crawler Manager – or just Distributed Crawler – this is application with REST and cli UI for complete life cycle of distribute web-crawling. Includes basic web-crawler features like fetching of web pages, extraction of URLs, manage URLs collections, storing resources in the custom defined and configured storage DB, managing of distributed crawling tasks, resources access, managing related attached properties and collections like parse templates and so on. This application based on Distributed Task Manager functionality and extends it with set of specific algorithms and data structures but utilize unified cluster-level APIs. This application oriented on farther resources processing on the same data nodes where they are crawled distributed way. First of all it is a Distributed Content Processor Manager application’s data. That conceptual approach aim is effective data distribution on stage of fetching from source and storage location on the same side as computational unit but distributed way. Such a solution can to help to avoid additional network traffic inside a cluster and between user access point and HCE system. The second positive feature that are provided by distributed crawling – it is multi IP-address crawling with proportional or more complex strategy of distribution of TCP IP connections from crawler to target web-server by crawler IP-address and timing. The problem of bots and robots blockade by IP-address and connection frequency level is most known for web-crawling task and solutions. Distributed Content Processor Manager – this application also based on Distributed Tasks Manager and represents a collection of algorithms and libraries for wide are of text mining purpose united by common input/output specification for data flow and call API. This is end-user functionality application with REST and cli UI that provides the possibility to apply some one or several (linked in chains) computational algorithms to computation units like web-pages, resources, documents and so on. The basic goal – it is to provide way to define and to run in planned (according with schedule) manner some vector of data processing procedures using step-by-step technology where output data from one algorithm became input data for another on the same cluster node. In distributed parallel solution such technique provides minimum time between steps as well as well host platform resources utilization. The unified protocol for data messages input-output interaction and interchange allows in easy way with minimal additional interfaces development – to extend the initial algorithms collection with custom libraries and modules. First collection will to contain set of Python libraries for text mining like HTML parsers, tokenization, data scrapping, NLP and so on. Distributed Tasks Manager – this is a common purposes application that implements complete set of algorithms to create and to manage tasks that executed inside cluster environment according DRCE functionality. Tasks can be any kind of executable in source code form and formats as well as Java pre-compiled or even binary modules. The only one limitation – it is support of this kind of module by data nodes of a cluster. Scheduler with strategies of tasks time and resource utilization prediction will help to end-user to not to care about cluster overload or inopportune tasks execution. Data for calculations can be provided at stage of the task request with the message from user as well as located on data nodes (for example after web crawling) or on external data provider like external key-value DB. Results of computations also can to stay inside a cluster (at data nodes) until user will not delete them. Two basic tasks execution modes provided – synchronous and asynchronous. Synchronous – is simplest for user and supposes condition when source data as well as results are small and the goal of clusterization is in parallel of computations and effective data delivery on target computing unit (physical host and cluster node). Most common usage of parallel computing mode in this case it is load-balancing and highly effective network infrastructure. Asynchronous – is complex and delayed in time. Scheduling, resource planning, resource and tasks state controlling, tasks management, results data access and so on algorithms and solutions are used to get a best results of optimization of usage set of physical hosts and distributed remote tasks execution. Cluster Manager – this application is an administration tools set. 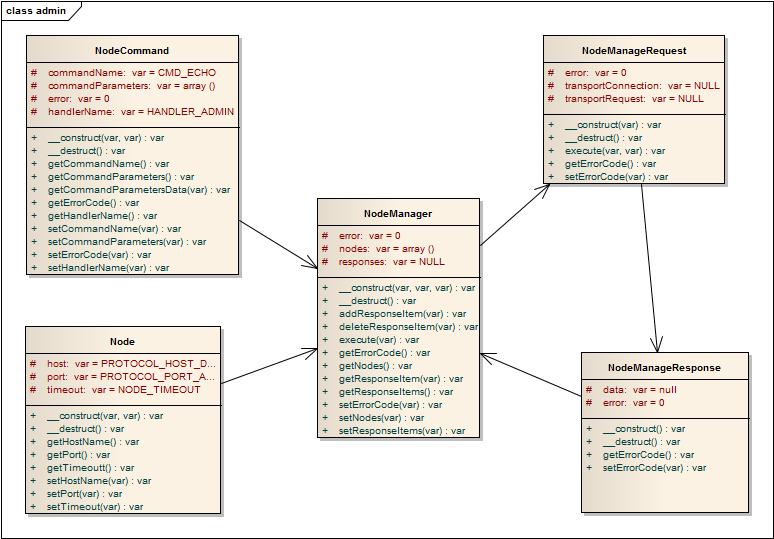 It implements complete management support of nodes include all handlers and functional objects. Typical simple cluster management like state monitoring, statistical data tracking and more complex operations like schema management, nodes state and role controlling, data modes management, automation of attaching and detaching of new nodes, balancing controlling and many other. This application and user-level APIs based on application level APIs. Also, it implements some interfaces and solutions for cluster state indicators visualization as well as provides client interface for different management scenarios. PHP bindings already implemented alpha in structural form and included in to the Bundle package archive. 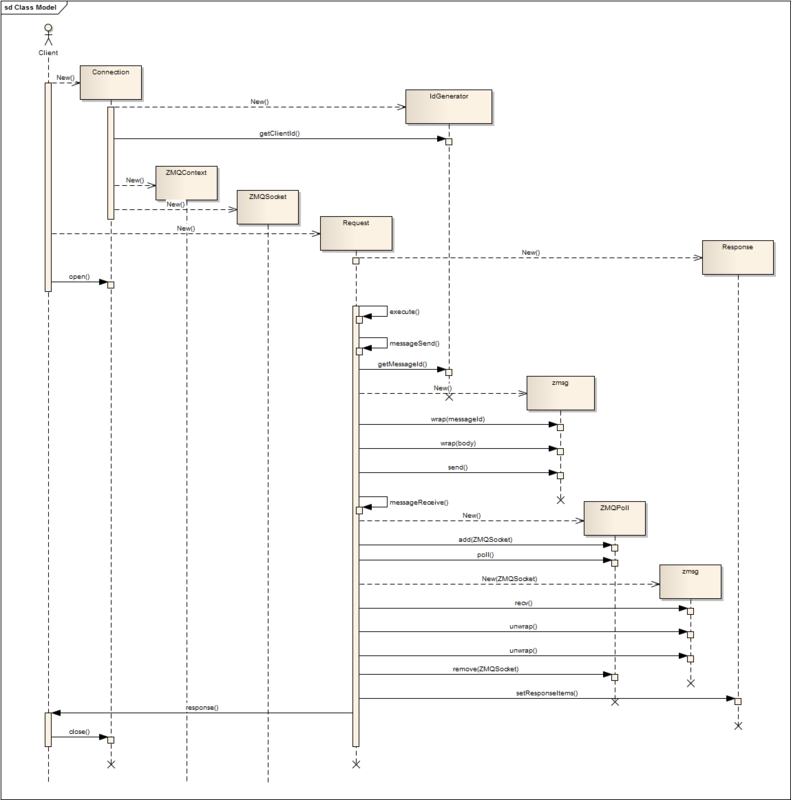 Complete structural model source code documentation available. Also, object oriented version under development at present time. The second part of API that is under design stage for PHP language in OOP model it is “Cluster Manager Application” that is cli interface administration tool for complete management operations, as well as for building external service-like client side interfaces. Now user level is under design stage. Bindings for the Python language slightly differs by OOP model and implementation of library parts. It is because Python binding of ZMQ library differs from PHP and C++ and some language-specific principles and agreements are not exactly the same. The HCE as engine has core architecture that represents main feature – to construct, build and hold network cluster infrastructure based on ZMQ PPP transport protocol that lays on TCP under Linux OS and is core on system-layer. Cluster core implemented on POSIX multi-thread computation parallelism and distributed multi-host requests processing on MOM-based networking model. Main cluster infrastructure based on different roles of nodes, separated data and admin requests handling by using two dedicated ports, asynchronous messages handling and processing based on ZMQ inproc sockets. Also is ready to be transactional and redundant. The concrete internal threading architecture and messages routing model of HCE node instance depends on role is static and can be one of router, manager or data that is defined on start. Messages routing of data requests messages for descent flows as well as messages collecting algorithm and reduce data processing for ascent flows depends on manager node mode – shard or replica. All kind of node roles instances doing the bidirectional heartbeating algorithm. There several types of behavior and parametrized cycling can be configured to make liveness and responsibility of nodes more strong and flexible. All timeouts and delays are configurable at start and run-time. If a node stops responding, it will be marked as dead for a configurable amount of time. The dead nodes will be temporarily removed from the load-balancing rotation on server node and client will enter in cycle of tries to re-connect to server node in case of it was marked as dead. Added DRCE new functionality of results reducer. Now shard mode supported additionally to replica (balanced). Added Sphinx search custom ranker settings support for functional object. Fixed several bugs of DRCE and Sphinx search messages handling.